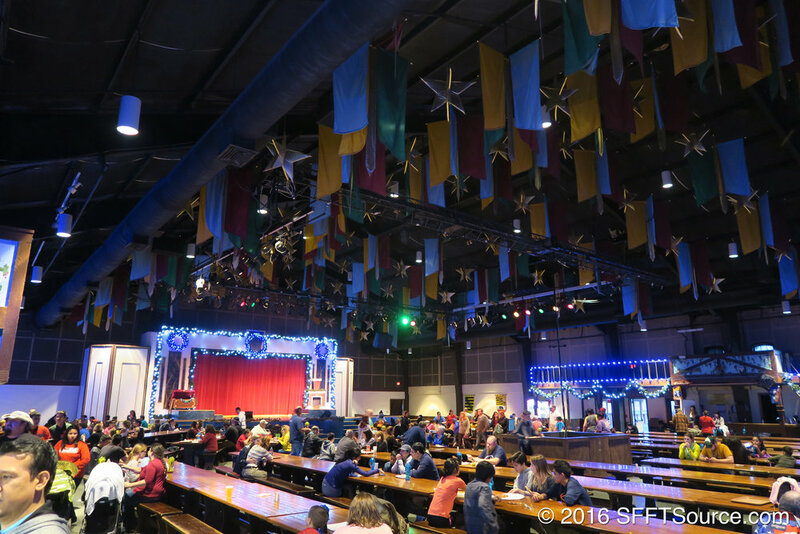 Sangerfest Halle is the largest indoor restaurant located at Six Flags Fiesta Texas. The location has plenty of indoor seating as well as Sangerfest Halle Stage where live entertainment occasionally takes place. Sangerfest Halle also features Dining Pass food options and accepts Meal Deals.